If one were to ask the average parent of a teenager to describe the experience of raising teens in one word, “opportunity” would almost certainly not be the word they would use. In fact, most parents regard this time in their child’s life as a terrifying and frustrating period that they can only hope to endure without injury or scandal. Paul David Tripp, however, writes that the teenage years can be some of the most fruitful of the child-raising experience. In this text, Tripp gives parents tools that can make this time an unequaled “age of opportunity” in which they are able to engage, challenge, and equip their kids to not only survive, but to thrive and grow in their spiritual maturity and walk with Christ. Tripp divides the text into three divisions—first seeking to clearly define the issues at stake for families with teenagers, then advising parents on what goals for these years should be, and finally concluding with some practical tips for shepherding teens toward these goals (7). He begins the text in earnest by surveying the rampant pessimism and hopelessness surrounding the world’s perception of teenagers, and calls on parents to reject this disabling attitude and adopt instead an optimistic recognition of the opportunities these years open up for God to work in the teen’s life (19, 22, 27). Moving on to discuss the context of the parent-teen relationship, the author looks at influencing factors such as the idols that distract parents from accurately discerning and applying God’s direction in the relationship, the distinctive perspectives with which parents can view their teens in relationship to the spiritual and physical world around them, and the unique Godly influence that the family context can—at the parents’ initiative—exert on the teen in the midst of day-to-day life (29, 43-48, 70-71). He concludes the first section by delving into the first few chapters of Proverbs to describe the unique influences, perspectives, and temptations that teenagers interact with and the powerful opportunities these struggles offer to the discerning parent (76, 92-93). Dr. Tripp begins discussing goals by encouraging parents to rely on Christ’s presence and power to counter the discouragement and exhaustion that accompanies raising teens (105). After warning them of the shallowness of addressing only behavior, the author gives the first of five goals of parents for their teenagers, which is to refocus their children on the spiritual war that is taking place rather than the physical fixations of appearance, possessions, and acceptance (113-115). Tripp also advises parents to help their children internalize Scripture in a way that they can discern and apply both specific convictions as well as biblical wisdom (128, 132-133). He shows that giving teenagers a Scriptural tool of discernment—rather than isolationism or assimilation—is the most effective counter to worldly culture (160). The ultimate goal of parents for their children, the author presents, is the instilling of a heart for God—a teen that makes choices not based on external rules but based on a “hunger to love and honor God” (177). With this heart for God and the tools of biblical discernment, Tripp encourages parents that they have successfully prepared their child with the seeds of maturity, and that the teens are equipped to leave home (198,202). Paul Tripp concludes his text with two chapters of practical advice for parents. Giving three strategies to specifically target the heart of teens, he teaches parents to practice intentional evaluation and targeted teaching for their children, pursue constant conversation with them, and to not merely address behavior but call their teens to repentance and heart change (231). Breaking the task down into smaller pieces, the author lists twenty small steps that move teenagers closer to a heart that desires to honor God, advising parents to evaluate and target a few steps at a time for their child (234). Paul Tripp’s Age of Opportunity is a goldmine of information for the parent of a teenager, full of biblically sound theology, perspective, and encouragement. His advice, if implemented, has the potential to reverse damaged relationships and to help parents reconnect with their teenagers with a level of camaraderie and affection many parents would have thought lost to earlier years of their relationship. He guides parents to self-evaluate, reminding them to approach the parenting task with a heart that desires a godly life for our child, rather than our own comfort, respect, or control (38). Similarly, he tells them to confront their children with a graceful heart in remembrance of their own sinfulness and teenage foolishness (74). As parents learn to implement this advice, they will find their own attitudes relaxing around their teens, and their children’s resentment softening toward them (93-94). Tripp reminds parents that changing behavior is not their goal, but that shepherding the child’s heart is the only way to have a child that glorifies God (49), and that God is the heart-changer, and that He is faithful and able to change children from the inside out. Knowing that they can rely on His awesome power and His provision of all they need is a powerful reassurance to the discouraged and exhausted parent of a teen (99, 103). He repeatedly exhorts parents to recognize that, rather than a time of fear and anxiety, the teenage years are an unprecedented time for parents to instill in their teens an understanding of how to live a godly life in an ungodly world (19, 22). In this text, there is very little to fault in Dr. Tripp’s content. The problems in this text, instead, stem from the difficulty in extracting the most useful principles, as well as in realizing that many of parents’ key questions will remain unaddressed. The author, in writing his text, chooses to organize his material in a way that obscures his key principles. Instead of devoting chapters to each one, he chooses to nest them repetitively within the chapters. For example, as commended above, Mr. Tripp encourages parents to approach their kids in humility and with a sense of sympathy, remembering that they too have gone through these issues and live under grace. However, instead of focusing on this idea in one chapter and moving on, he makes it a part of “four verbs” for parents of children leaving home (196), an introduction of “three strategies for parenting teens” (214), a component of giving wisdom and direction (79), an element of shining the light of redemption in a fallen world (69), and a side item in several other places. This is a pattern for all of his key ideas, and while repetition is important for memory, it makes this text convoluted and wordy. Similarly, Tripp writes in a continuous series of lists. His lists have lists, which are usually in another layer or two of lists. Chapter twelve is a great example of the conundrum parents face when wading through the onslaught of material the author presents. In a section on practical help for parents, Paul gives a list of three strategies, of which the third is to lead your teenager to repentance. As he gives four steps to the process of repentance, the first one is consideration—which asks essentially two questions. One of those two questions is how to help the teenager see the sinful issues of their heart. To help them, Tripp gives a very helpful list of five more questions. By the time the reader gets to the content they have completely forgotten what they were looking for (226-229)! In the same chapter, Tripp lists two factors of Biblical insight, which is one of the three goals of a Biblical model of project parenting (221), which is one of the three strategies for parenting teens, which are not to be confused with the 20 small steps parents can implement with their teen (chapter 13), the five fundamental goals of parents for their teens (113), the six strategies for developing a wise heart (137), or the seven strategies for encouraging a heart for God (185). It seems likely that Dr. Tripp has a fondness for PowerPoint presentations. Parents looking for help with a particularly rebellious child will find that the author seems to be working with a very particular set of assumptions. His methodology revolves around heartfelt and gracious communication that engages the teen—leading them to recognize, acknowledge, and repent of their sinful attitudes—and concludes with a restored relationship. It is clear from the stories of his children that he has maintained an open and spiritually sensitive relationship with them, and that they value that relationship and their Godward orientation. However, he never adequately deals with discipline and shepherding for a truly rebellious teen. He advises parents to avoid lashing out and trying to control and manipulate their teen into obedience, rightly noting that the teen would only respond with more rebellion (93). But he never addresses how to discipline and confront sin with a child that has rejected the authority of both his parents and Christ. 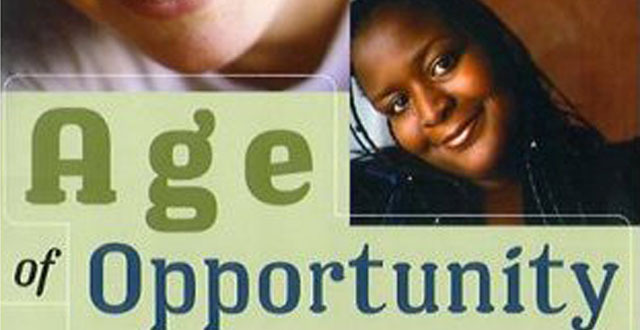 Age of Opportunity, despite its stylistic faults, is a remarkably helpful resource for parents who are moving towards the teen years and need tools and encouragement. The amount of information in its pages is staggering, and the patient parent will be able to mine its wisdom deeply to learn how to adjust their relationship with their teen gradually from the authoritarian disciplinarian to the gracious shepherding ally and mentor. The teens of these parents will be appreciative of the parent that has learned to instill wisdom in their heart and give them freedom to apply it and glorify God. Tripp, Paul David. 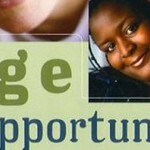 Age of Opportunity: A Biblical Guide to Parenting Teens. Phillipsburg, NJ: P & R Publishing, 2001. 291 pp. $14.99. This book has been highly recommended to me as my grandson has just entered his teen years and his sister is just two years behind. I have purchased two copies so that their mother and I (we all live together) can walk this road together and prayerfully steer these children on a godly and healthy path toward adulthood. Thank you!